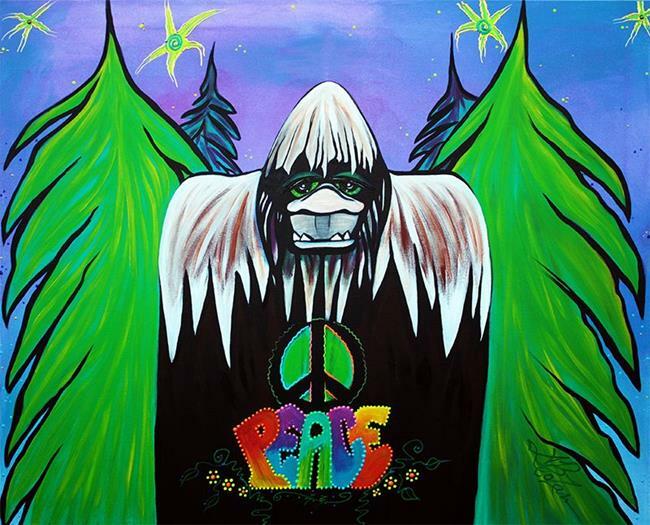 A bigfoot in the forest promoting peace... After all these creatures hide from us and avoid humans... what can be learned from that? Our violent society can be taught to be peaceful from living more like these cryptids. Acrylics on Canvas by Laura Barbosa. 24 x 30 x 0.5"